In 1973 when Reviva Labs was established, the word “Exfoliation” was unknown in America. That was over 40 years ago. Reviva Labs is a cruelty free skincare brand that I’m really enjoying! You know what else is cool? They’re based in New Jersey right by where I live so I absolutely love supporting a local company! I got to share the Reviva Labs Light Skin Peel with you all the other day and I told you I was really enjoying the makeup primer as well so I have a quick review of that for you all today! I am 100% obsessed. Holy Grail Makeup Primer? Check! 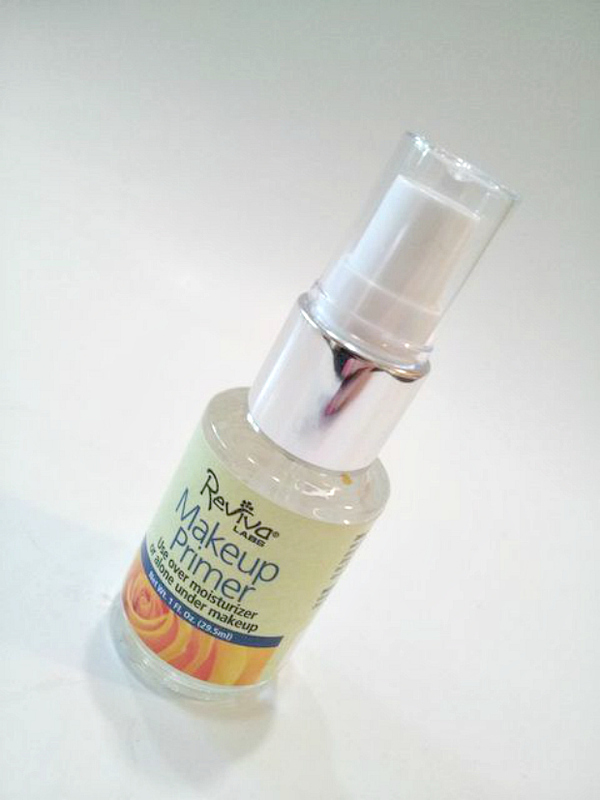 This is seriously the best primer I have ever used, and believe I have gone through A LOT! Every good foundation needs the perfect base, and this is it. Applying this under your makeup completely fills any line that you have, to make foundation application flawless! It does wonders controlling any oils, and not just during application but it works as a barrier through out the day to keep your makeup from running. I wore it for 8+ hours and came home still looking flawless, instead of a hot mess like I usually do after a day in the sun! I’ve also been using it as an eye shadow primer, and it works phenomenally! To use: Over moisturizer or directly on clean skin, apply just a drop on forehead, each cheek and above your jaw line. Massage in lightly over entire face. Allow to absorb & apply your makeup as usual! Do you need this? Absofreakinglutely!! It’s price point is $19.50 which is the only complaint, I dare have… I’m willing to invest though because it’s really that amazing!